Just come to the chorus rehearsal hall if you are interested in singing. It's that easy....no uniforms, no secret handshakes. Just a bunch of regular guys who love to sing, who will welcome you with open arms. 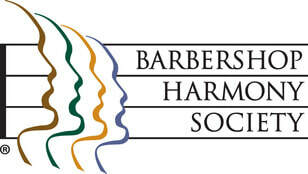 The Barbershop Harmony Society, legally and historically named the Society for the Preservation and Encouragement of Barber Shop Quartet Singing in America, Inc. (SPEBSQSA), is the first of several organizations to promote and preserve barbershop music as an art form. Founded by Owen C. Cash in 1938, the organization quickly grew, promoting barbershop harmony among men of all ages. As of 2007, just under 30,000 men in the United States and Canada are members of this organization whose focus is on a-cappella music. The international headquarters was in Kenosha, Wisconsin for fifty years before moving to Nashville, Tennessee in 2007. In 2003, in preparation for a new headquarters location, the Society sold both Harmony Hall, a historic lakefront mansion, and its nearby facility (known as Harmony Hall West) located in a strip mall which the Society purchased in 1976 and renovated. HHW had housed finance, merchandising, IT and membership. Operations and staff from both buildings were consolidated into a remodeled HHW. In 2006 the Society announced plans to move its headquarters to Nashville, Tennessee. In August 2007, the Society completed the relocation to 110 Seventh Avenue North, in Nashville.